Walmart’s “Empowering Women Together” program provides market access to women entrepreneurs around the world. The result is greater economic opportunity for women, their families, and communities. Women’s economic empowerment is essential to the alleviation of poverty and kick-starting economic growth. More than one billion people live in poverty worldwide, and 70 percent are women. Nearly 800 million people, two-thirds of which are women, cannot read or write. For women, access to capital is rare. Less than 7 percent of venture capital goes to companies started by women. Traditional development assistance programs for women often lack the necessary market link that would result in sustainable development initiatives and long-term employment. Those programs that do succeed in finding a market often struggle to meet the scale that is required by most multinational retailers. To address these challenges Walmart has developed an online platform to help women business owners around the world drive income and sustainable growth. On March 7, 2013, Walmart launched “Empowering Women Together,” an online destination on Walmart.com that gives shoppers who want to buy unique and interesting products the opportunity to do so while supporting small women-owned businesses around the world. Empowering Women Together is part of Walmart’s Global Women’s Economic Empowerment, a five-year commitment to source $20 billion from women-owned businesses for its U.S. business and double sourcing from women suppliers in international markets. Empowering Women Together’s goal is two-fold: to help women worldwide create better lives for themselves and their families through economic empowerment, and to develop a sustainable business model for sourcing from underserved and underrepresented women-owned suppliers. It leverages Walmart’s size and scale to offer market access to women who otherwise might be unable to attain it. Walmart is working to determine the appropriate size and scale of purchases that will ensure a sustainable business model where every actor in the value chain (producer, aggregator, retailer) derives profit from sales. Right now, Walmart and its aggregator partners are still partially subsidizing the endeavor. The hope is that by retaining the original cohort of suppliers and increasing their assortment, some of the transaction costs can be reduced. This will lead to a more sustainable model. The initial launch of Empowering Women Together included 19 suppliers from nine countries including Cambodia, Canada, Ethiopia, Haiti, Kenya, Peru, Nepal, Rwanda, and the United States. Together, these suppliers have developed more than 200 items for sale on the Walmart website. Creating a sustainable value chain for products from women at the base of the pyramid is far more complex than was originally envisioned. The company has also learned that partnership, with NGOs, other businesses, and governments is critical if it is to overcome obstacles. 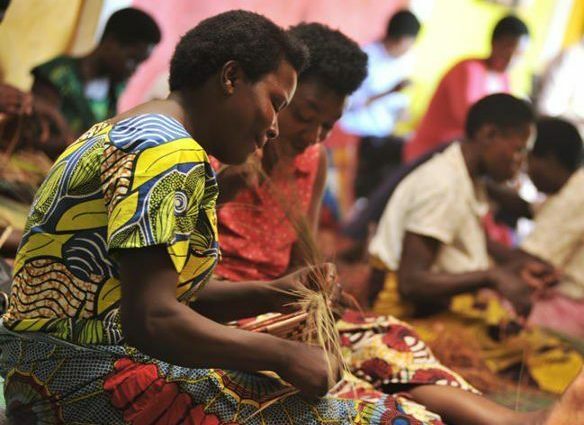 For these reasons, Walmart is one of the founding members of the Alliance for Artisan Enterprise, an group of diverse stakeholders that support and grow artisan enterprises, improve livelihoods, sustain craft communities, preserve cultural heritage, and contribute to sustainable economic development. Two months after the launch, there have been nearly 350,000 visits to the site and we have sold more than 4,500 units. Walmart currently tracks sales performance to determine the most profitable assortment mix for the future. In addition, the company has engaged in targeted marketing opportunities (Mother's Day promotions in Parade and on the Today show) to determine the best marketing approach for the merchandise. Finally, Oxford University was engaged to develop a comprehensive metrics and evaluation system to track the economic empowerment of program participants. Empowering Women Together helps strengthen communities, small businesses, and families around the world. It also gives Walmart’s customers a new reason to shop here, and helps the company attract new customers who know that they are making a positive impact while they shop.